You are here: Home / Nursing / Nothing more rewarding. Bring your passion to Rehab Nursing. 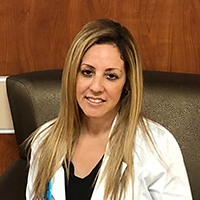 With 18 years of experience at Memorial Healthcare System, Jackie Zayas, Director of Nursing at Memorial Regional Hospital South, knows a good rehab nurse when she sees one. Memorial looks for Rehab Nurses with 1-2 years of experience, but will also train Telemetry and Medical Surgical unit nurses. “We have a new nurse residency program, as well as a 12-16 week orientation in Rehab Nursing. There is a lot to learn about our unique philosophy of hands-on rehab nursing, a lot to learn about body mechanics. Critical thinking skills are a must,” stresses Zayas. Learn more about #teamMHSflorida and how you can join us, when you search for nursing careers now. Future of Nursing. Join Our Team at Memorial Healthcare System.